Want easy app setup? If you have an Asus RT-AC68U, RT-AC87U, RT-AC56R, RT-AC56S, or RT-AC56U, you can set up the ExpressVPN app for routers. 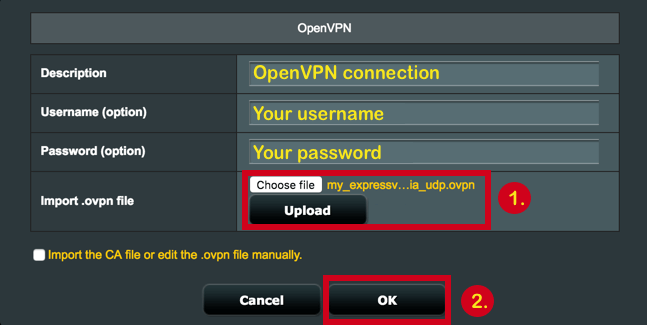 This tutorial will teach you how to set up ExpressVPN on your Asus router, using the OpenVPN protocol. This setup is also compatible with Merlin on Asus. If you are unable to connect on your router or see a DNS leak, please contact the ExpressVPN Support Team for immediate assistance. The following video demonstrates the setup process using Asus stock firmware and the ASUSWRT interface. You will download the OpenVPN configuration file for the server location of your choice. Download and save the .ovpn file(s) for the locations (e.g., Los Angeles, New York, etc.) that you wish to connect to. The below instructions are for the regular Asus firmware. If you’re using Asuswrt-Merlin, click here. Go to your Asus router control panel on your browser. It should have the address 192.168.1.1 by default (unless you changed it). 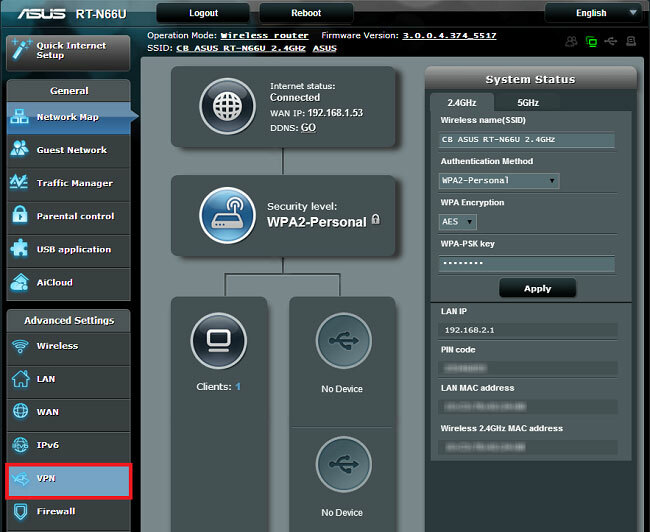 This will take you to the ASUSWRT web-based interface. 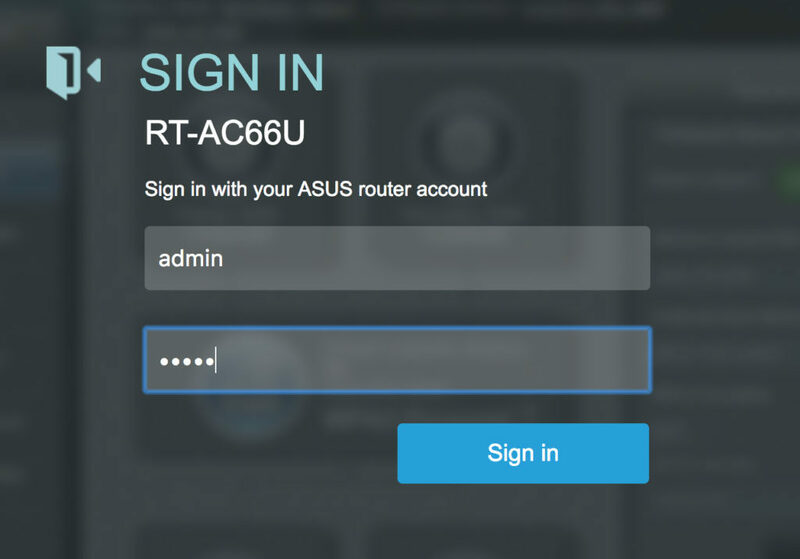 Log in with the username and password for your router account. 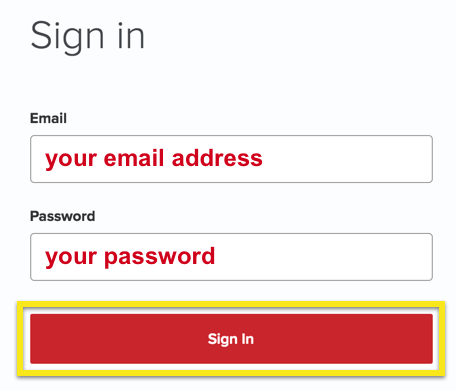 By default, your User Name should be admin and your Password should be admin (unless you’ve changed it). Click the VPN Client tab at the top. At the bottom, click on Add profile. Description: Something to help you recognize the VPN connection. Username: Copy the ExpressVPN manual configuration username you found above. Password: Copy the ExpressVPN manual configuration password you found above. Import .ovpn file: Upload the file you downloaded above. Click Upload. Click Activate to start the VPN. Check your location and IP address to confirm the VPN connection is working. If you see a problem with authentication, retry the above steps or repeat the process with a different OpenVPN configuration file. 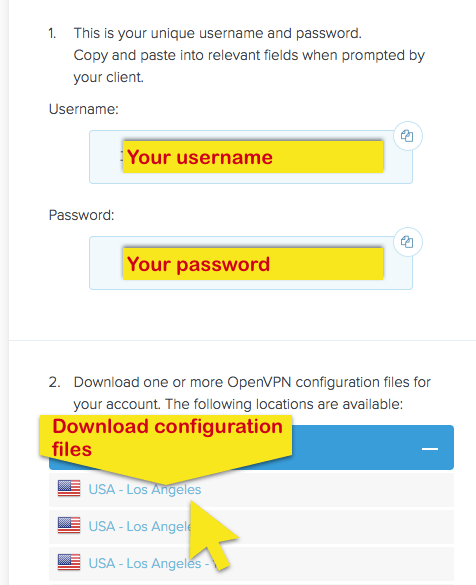 To change VPN locations, upload a different OpenVPN configuration file, enter your OpenVPN configuration username and password, hit Apply at the bottom of the page, then turn the service state ON. Log in to your router dashboard. Under Advanced Settings, select VPN on the left-side menu. Along the top, select OpenVPN Clients. Next to Import .ovpn file, click Browse… and upload the configuration file you downloaded above. After the file upload is complete, scroll down to Basic Settings copy the ExpressVPN manual configuration username and password you found above. Scroll down to Advanced Settings. Set Accept DNS Configuration to Strict if you intend to use ExpressVPN on all devices connected to the router or Exclusive if you only intend to use ExpressVPN on select devices. Under Custom Configuration, enter the following text and click Apply.